Our company specializes in trimming, cutting and removal of unwanted trees for residents of Virginia Beach, Norfolk, Chesapeake, Portsmouth, Newport News and Hampton, VA.
​In search of a tree care and maintenance for your back or front yard? For many years now we’ve been taking great pride in providing our customers with highest quality and often times even personalized work. You can receive or schedule your free estimate by filling out our free quote form and one of our staff will be contacting you shortly. 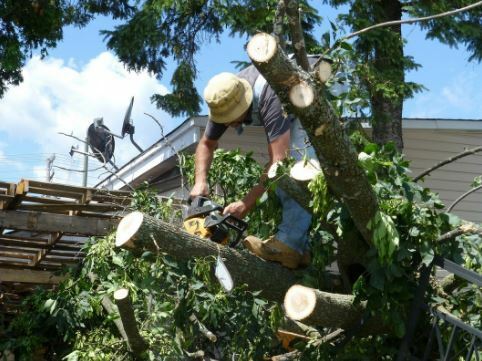 Every tree removed or trimmed, stump pulled out, branch removed… No job is too small for our professionals and is done with care time after time. We are a local company which only employs those who respect and appreciate your time as well as you home or garden. They ensure that the job is done right the first time, because your satisfaction is on top of our priority list! Often times large plants add beauty and value to properties all over the world. Unfortunately, lack of care, aging, severe weather conditions, and pests can take a toll and require you to trim or remove them. You might not have signed up for this but sometimes it is unavoidable in order to protect your property, people, or plants in the garden. Once you call us for your free estimate, we will give you our professional recommendations on what to keep and what should definitely go. Our staff is well-trained on extraction techniques, preservation, and maintenance. With many years of experience in the Hampton Roads area, we have the machinery and expertise for any type of service you may need including stump removal and grinding, pruning, and even high precision tree surgery. Our estimates include all costs related with complete removal and hauling related waste. Let’s say you’ve purchased a new house and at first glance loved the shade all the way around. It has been a few months and now you are noticing that roots are coming too close and may actually be a threat to your new home’s foundation. Call our company at 757-364-0417. We will come to your home and study the current situation. Our professional estimators will provide you with a recommendation and a quote right there and then. Those bushes you planted 10 years ago are now towering over your roof. With storm season just around the corner you are concerned those huge branches might end up on top of your home. Worry no more! Our specialists offer expert advice and preservation services when possible. Is that tree leaning or is it just a plot of your imagination? You might need to keep a close eye on it. It’s extremely tall and might be ready to topple over with some help from a strong gust of wind. It could damage your home or even worse, strike a family member, guest or a relative. Call us now! There is no waiting when danger arises. We are local and will do whatever is in our power to solve any of your issues. 1. Experience with all types of situations is something that we possess and feel is valuable to you, our customer. Whenever our staff comes across issues, they get resolved quickly and efficiently while keeping safety as #1 priority. 2. We are well established in the Hampton Roads area, where we’ve been delivering high quality work to people just like yourself. We would like to reassure you that Virginia Beach, Portsmouth, Chesapeake, Newport News and rest of Hampton Roads will continue to receive top notch customer service and professionalism to which we are committed. It’s a promise we make and one we intend to keep. 3. Here we have the high tech and latest model equipment which is no luxury, but rather a requirement to get the job done in the safest manner. We have invested tons of dollars back into our own company, in order to serve you well. Our management makes serious goals, achieves them and will not spare a penny if an investment on our part will directly benefit you, our customer. 4. The good ol’ days of ladder, axe and saw are over. It’s time to move on into the 2000’s where a tree or stump can be taken down, removed, cut into pieces, trimmed and grinded using all kinds of machinery and complicated tools to say the least. 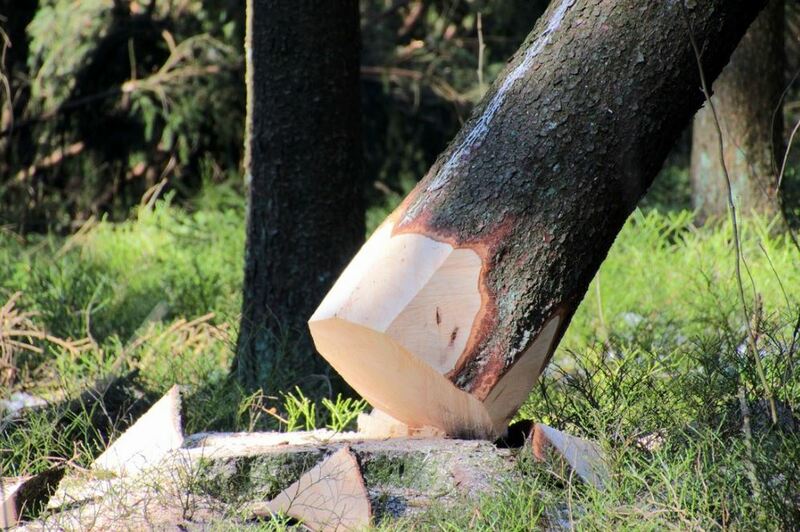 Our professionals are great at determining which tool to use for a specific situation, how things would turn out if they were to chop instead (haha) and last, but definitely not least, determining the risks and assessing the situation correctly. Don’t call Fabio The Handyman when all you will get in return is a guy coming over in his van, climbing on top of your tree and trying to shake it down. This is bogus! Give us a call at 757-364-0417, explain to our friendly staff what is going on, whether it’s urgent or not and we’ll give you a free estimate. You can also fill out a free quote form and we will reply back as soon as possible. 5. We operate out of Virginia Beach and service Norfolk, Chesapeake, Portsmouth, Newport News and even Suffolk area. So many years of hard work, with numerous projects completed, we’re still here and not going anywhere. Our commitment to the community and people of Virginia is and will forever stay unmatched. Virginia is definitely for lovers and we are just that. Invite us over and we prose that we won’t disappoint you. 6. We see ourselves as the top notch company and hold ourselves to the highest standards. It isn’t just one thing, but instead a combination of different amazing aspects of our company such as fair prices, fabulous quality of work and incredibly friendly staff and support personnel. We aren’t just your average, Joe Shmoe’s company who’s after just your money. Bottom line is, we are the company you should be contacting, no matter the size of the job that needs done. Our number is 757-364-0417 and if you don’t feel like calling, it’s cool. Just fill out our short and painless free quote form and we will let you know what your estimate will be. We are looking forward to hearing from you and if you’d like to leave feedback in a form of a review, please leave it on our Google or Yelp pages. Thank you so much and we appreciate your business. ​If you are a homeowner and your property has plants on it, the chances are very likely that you have or one day will need professional help. There are a variety of services that are available at the ready to assist you, but how do you know which one is right for you? Asking around among co-workers, family or friends is always the best place to start. Needing the assistance of a professional tree cutting service is extremely common, and usually you will find that you know people who have found themselves in your shoes. When you ask, you will find that people are usually more than willing to offer up a “reputable” company who did a good job for them and they will proceed to share their experiences with you. As we all know, a referral is always welcome when you work in the retail/service industry. So, if you contact someone on a good reference and ask for their help, and you drop a name of one of their previous customers, they may be a little more willing to cut you a deal, or they may even throw a few additional services in – free of charge, just for seeking them out. This is a win-win situation for everyone. The company gets your business on good feedback and YOU save money, sometimes substantially. One of the first things you need to be sure of is whether (or not) the company or person you go with is a licensed and bonded professional. The very last thing you want to see happen is for some freak accident to occur on your property while they are performing the service for you, only to have them turn around and sue YOU for damages, leaving you with a hefty insurance bill. This is one of the easiest things you can do to ensure that you and your property are protected against negligence or fraudulent practices. Do not feel that asking about their licensure is a slight to the company, it is about peace of mind for you, and more than likely, they will be happy to show you their credentials – if they are legitimate. Again, asking around among people who you know should help to alleviate this issue from ever coming to pass. Nonetheless, it never hurts to ask, and err on the safe side of caution. Licensed and bonded arborists have the skills, the know-how and the equipment needed to be able to fulfill just about any request dealing with trees that you can think of. 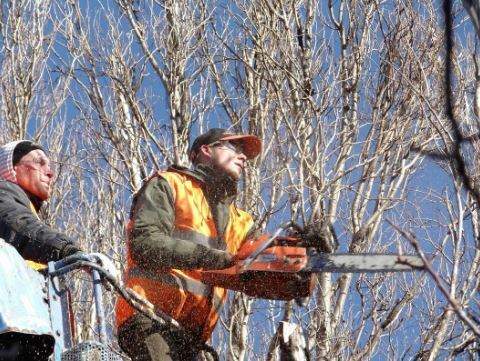 They have professional-grade chainsaws and digging gear, heavy duty trucks with attached wood chippers, large stump grinders that are pulled by large trucks and even the clothing needed to keep them safe while performing many arduous tasks. But most importantly, they have the skill set and the experience to know exactly how to keep life and property safe while performing their craft. There are so many types of services that are available to you and it really can be overwhelming knowing just how many things can be done when you have a tree on your property. Most of us do not think about it until it becomes problematic and needs to be dealt with. If you are lucky, you will never have to deal with such problem. Unfortunately, and more likely than not, you too will have your OWN “story” to share, at some point. Storms, bug infestation, accidents, location and even it’s age are just some of the more common problems. Each problem can seem overwhelming when the time comes to have to deal with it, but that’s why it’s so important to ensure that you select the right contractor for the job, and hopefully one that ultimately agrees with your wallet. Some companies specialize in certain areas, such as stump grinding or root removal, while other companies focus on complete removals. No matter what the need or concern is, believe me, there is a company that is right for the job. The hardest part of the entire process is finding the right one for your needs! 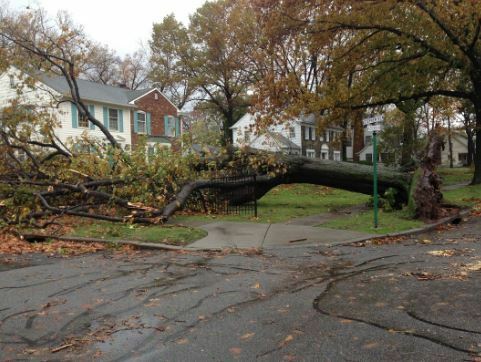 As a property owner, I can speak firsthand on many property issues I’ve had involving trees. I’ve used an arborist many times and for a variety of reasons, ranging from stump grinding to having to drop branches from my property that were a hazard to life and our home. In each situation that required a professional to assist with the job, careful consideration needed to be taken in choosing the BEST company around for the job. Our family has 3 different companies to take care of our “needs”, depending on what needed to be done. Unless you are lucky to find a “one stop shop” company who can offer ALL specialties, you may have a few good go-to companies, as well. Another point to consider is during ‘busy’ times of the year – after storms – in particular, is when many people seek out professional help. If you have ONE company as your ‘go-to,’ you could find yourself on a very long waiting list to take care of your problem. Sometimes, even the severity of the problem doesn’t matter. If a heavy branch lands on your house and you can see the night sky when you go to bed at night, and you only have one company, the wait could feel endless until they finally get to you. This is where having multiple ‘go-to’ companies can come in handy. So, what kinds of possibilities are out there and what are they good for? 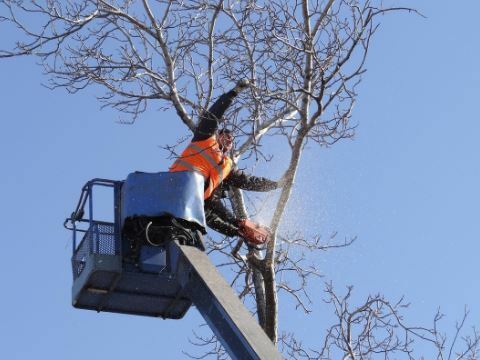 While I am not an expert on performing any specific tree service, I have hired many companies who took their craft very seriously and always did fantastic work. One of the most in-demand services is that of trimming. Perhaps you have a beautiful Lagerstroemia, or a “Crape Myrtle” as they are more widely known as. Some of them can grow up to 100 feet tall. Unless you have a good, safe ladder to use to prune them yourself, you might consider hiring a company and have them trim everything down. Another good time to consider a pro is when the branches are so high up that they begin to affect your home’s roof or when they interfere with power lines. It’s great if you have the know-how to be able to do this yourself, but if you are not exactly sure of what you are doing, a professional is probably the smartest way to go. When dropping parts or even the entire tree, a pro will have the proper shoes and equipment needed to do the task without causing damage to anything nearby. As an example, ten tall oak giants I had in my yard, stood between 50’-60’ in height. One of them was about 7’ away from the back of my house. When the pros came in, one guy climbed it with special shoes, carrying heavy duty ropes on him, and once he was settled at the highest, safest place (based on his knowledge of the industry) he tied the ropes around the limbs at strategic places, before dropping the rope’s end to the crew on the ground. Then he was sent a chainsaw up, via the rope from the ground crew, and he proceeded to cut it down, branch by branch. The tied limbs would slowly be lowered to the ground, rather than falling fast and potentially landing on people or other property along its way. It was smart, safe and effective, and the best part? It didn’t do one bit of damage to my property. One of our main concerns during this entire situation was that we laid down sod only one month prior to this needing to be done, at the request of a City Arborist. The company knowing this, took special precautions and placed plywood boards down in our yard, creating a path for their equipment so that it wouldn’t rip up the freshly laid sod. It was above and beyond, but extremely professional of them, and was something I was grateful for! Another common one is stump grinding. What happens when a tree falls in your yard and you have the means to cut it apart yourself, but now you don’t know what to do with that ugly, large stump sticking out of the ground? Well, you can call a reliable company to come out and grind the stump down to practically sawdust. This is an excellent idea for your property, especially when the stump is in your front yard. Another point to consider is when a stump gets left behind and unmanaged is that the tree is basically still alive and may very likely grow sprouts out of it (I speak from experience! ), and could eventually re-grow. Sure, we have all heard the stories “Just drill a few holes in it and pour bleach all over. It will die off.” Well, when it comes to my yard and the safety of my family, I wouldn’t trust that. Besides, if you have small animals or pets, this is hazardous to their health, as well. Keep in mind, those roots after the initial cut-down will continue to grow in the dirt and you could find yourself with not only an eyesore or a tripping hazard, but you could be setting yourself up to face foundation issues to your home down the road. Sometimes, like it or not, grinding the stump down when it is in a prominent place on your property is the best option. Root removal could be a necessary solution when you have a tree that is planted dangerously close to your home or grows beneath your driveway, causing the foundation or concrete to crack and settle. This can be very bad for your home and be extremely costly to fix. Before it becomes that big of a problem, you might consider having it all pulled out. This can be quite time consuming if you were planning to do on your own, and not to mention – back-breaking as well. A professional would have the heavy-duty equipment needed to be able to tear out the roots, without feeling the effects on the body. Root removal may also still be necessary when you grind down a stump, depending on how large the it is and how far of a reach the roots got. This service typically isn’t recommended unless it is a detriment to the property, because when both are gone, there isn’t anything left for the roots to pull nutrients from, and they shouldn’t grow further. We used to have two Pyrus Calleryana’s, or more commonly known as Bradford Pear trees inn our front yard. They are gorgeous when in bloom, and during the spring and summer months, their foliage is picturesque. Unfortunately, they do not like storms and have a hard time standing up to hurricane force winds. Their roots, although they were planted far away from the house, have somehow managed to grow and tuck themselves into the front corner of our home, starting foundation problems to our house. When a tropical storm blew through, we had to have the stumps and roots grounded down, to save the foundation to our home. Thankfully, we could detect and fix this problem early on. If they both had not fallen, we could have ended up with very costly home repairs. Another great thing an expert would have that most of us don’t have ‘on-hand’ is a wood chipper. These are fantastic tools that generally arborists use, which come useful when you have branches and general yard debris that needs to be taken care of. They save you from having a huge pileup of debris being stacked in your yard and leaves it tidy. I cannot think of the number of tropical storms and hurricanes I have been through where there wasn’t a large amount of yard debris left over that needed to be cleaned up. Thankfully, after a few storms and lessons learned, we now call one of our trusted professionals and have them bring out the trucks with the wood chipper. Within a mere 15 minutes or so, the team would gather all the tree parts in the yard and they shred everything down to sawdust, leaving me with NO wood piles, no debris, and no long hours of heavy storm cleanup. I don’t know about you, but there aren’t enough hours in a day for what I need to accomplish as it is. Mother Nature’s wrath creates more work and for me, so paying for someone else to do it in a few moments is well worth its cost, leaving me an open day tend to all the other things on my to-do list! Another good reason to keep a service professional’s number on-hand would be if you are planning to build a home. Suppose you purchase a plot of land and it’s covered with bushes. You plan to use this property to build a new home on it. I guess you could cut them down yourself, which would be dangerous and time consuming. But if you had the right contractor who you could call to come out, you could have them take all of them down! You could then make the decision to have them put all the wood into a wood chipper or you could KEEP it for heat in your new home, if you build it with a fireplace. Some people in the real estate industry use experts and have them leave the wood in large piles. They then sell the wood to pay for the costs of the service and use the remainder of the money made on the sale of the wood to pay on the property or simply pocket the cost. In short, trees when they are in bloom can be a beautiful addition to any property and if you plan to sell can make any would be buyer happy that they add so much to your landscaping. But when emergent situations arise and you find yourself needing the help of a reputable and licensed company, it’s probably best to have a few numbers on speed dial. It’s always better to be safe than sorry.